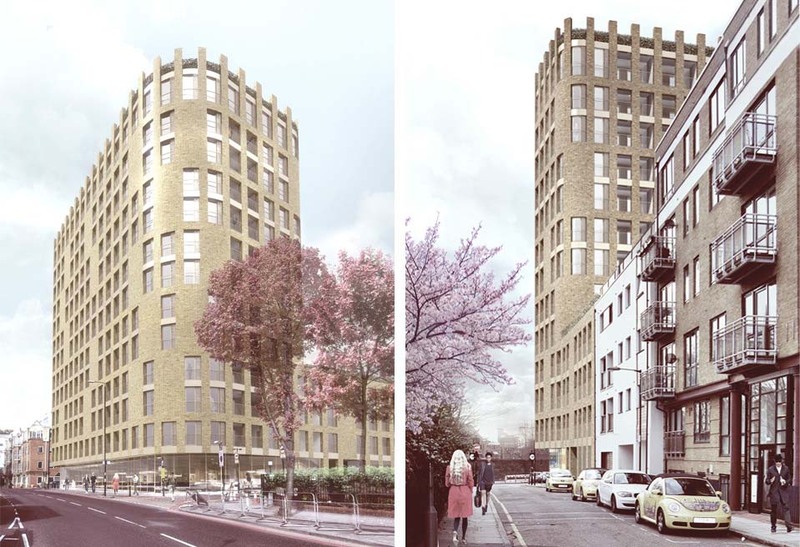 The site lies on a key nodal point on the axis of two historic routes; The Highway into the City of London; and the roads connecting Whitechapel to the north with Wapping Docks to the south. Our response was to explore the opportunity of creating a marker building that would serve to mediate the varying scales that existed in this City Fringe hinterland. The building’s form follows the curved corners of the site, folding around onto the rear into two planes to form bookends to Dock Street and Ensign Street. The architecture references both the robustness of the dockside wharfs and the contrasting ornament and grandeur of nearby Wellclose Square. 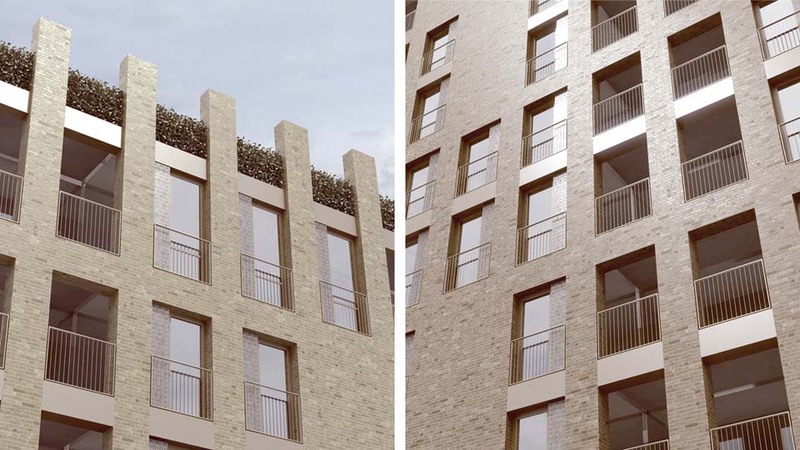 Patterns found in the ironwork of nearby buildings provides pattern and ornament to punched metal window panels whilst a skin of London stock brick, punctuated by simple openings provides robustness. The brick frame extends beyond a rooftop terrace to form a crown to this important gateway building. The northern elevation responds to the two masses of Ensign and Dock Street by dividing the mass into two segments. In contrast the South elevation seeks to create a single face unifying Ensign and Dock Street with The Highway. The crown at the top of the building and the typical window bays are expressed as simple brickwork openings, lifted through the inclusion of elegantly detailed balustrades and window panels.